Local, state and federal laws have been focused on making existing commercial buildings more energy efficient for years now. Huge cities like New York, Los Angeles, Chicago, and Philadelphia are the natural focal points for this effort, but even right here in the greater Seattle area, we’re taking a strong stance on energy efficiency. But, to improve at the rate we’re shooting for, the renewal and renovation of existing commercial buildings also needs to be part of the solution. According to the U.S. Green Building Council, commercial buildings account for more greenhouse emissions than vehicles. We know that laws around vehicle emissions have required adjustments from the factory to the gas station, including retrofitting older vehicles with computerized emissions sensors and other specialized equipment, so it only makes sense for commercial buildings to follow suit. In fact, Seattle’s citywide goal is to be carbon-neutral by 2050. In the past, factories and other large industrial facilities were the main target of regulations when it came to energy usage and the environmental impact of commercial buildings. These days, however, smaller facilities, including office buildings, retailers, and residential buildings are on regulators’ radars as well. An emphasis on replacing inefficient heating and cooling components, windows, lighting, and insulation is imperative for all building owners and facility managers. The best way for building owners and facility managers to make sure they stay ahead of the game is to start analyzing their energy usage and efficiency. An energy audit performed by experienced mechanical systems technicians can help commercial and industrial property owners identify areas for improvement and approach them strategically from a budgetary and scheduling perspective. Learn More About Energy Efficiency For Your Puget Sound Facility. This establishes a baseline for improvement, and also allows energy engineers to explore upgraded technology options for monitoring real-time energy usage and building automation. This can help the owners and their maintenance partners understand what problems currently exist and what needs to be done to address them. While the largest commercial buildings are going to be the obvious first targets, intelligent building renewal even makes sense for the owners of smaller facilities. While building renewal requires a planned capital expenditure, the energy savings it creates provides positive cash-flow, and a healthy return on that investment. Before pursuing a renewal project for your Seattle commercial building, we encourage owners and facility managers to speak with knowledgeable energy experts to fully understand how various improvements can impact future energy usage. 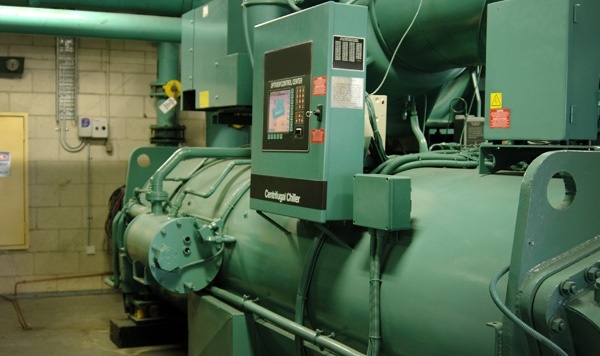 As one of the leading commercial HVAC service providers in Puget Sound, PSR Mechanical is here to help.